Running a limited liability company can be confusing at times, especially when you're trying to determine which business formalities are required by law and which you should follow for your business to operate effectively. An LLC is a hybrid business structure that gives the owners, known as members, significant leeway to manage the business informally as they see fit. However, throwing all formalities to the wind can have serious consequences for the business. An LLC combines the limited liability protection of a corporation with the ease of management of a partnership. State laws generally allow the owners of an LLC to decide how they'll manage the company, which is typically spelled out in an operating agreement that they negotiate themselves. While most states don't even require that an LLC create an operating agreement, it is generally advisable for the business to have one. Comparatively, state laws governing corporations list many specific formalities that the shareholders and directors must follow, such as holding annual shareholders meetings and keeping minutes of board meetings on file so shareholders can periodically inspect the corporate records. Your LLC is still a business. While state laws generally do not penalize LLCs for not following recommended formalities, nor are interested parties able to sue if records of meeting minutes aren't maintained for periodic inspection, there may be consequences for not running your business as an independent entity. The LLC's operating agreement should establish the formalities that the members are going to follow to manage the company's affairs. For example, the agreement should specify when the members are required to meet, how decisions will be made and how decision-making will be recorded for record-keeping purposes. Although not keeping minutes of a particular meeting or observing other regular formalities won't result in immediate consequences, the company must operate in a way that satisfies record-keeping requirements of state and federal government agencies concerning the ownership, organization and finances of the business. 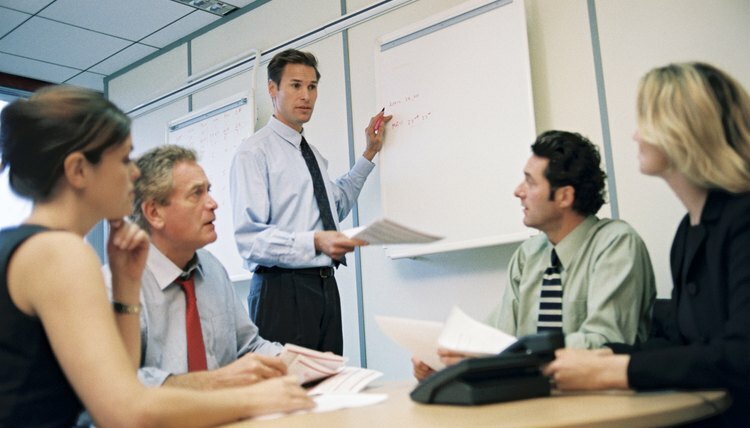 For example, not taking minutes at a meeting where the members discuss the company's holiday party will likely have no consequences; however, failing to take minutes to record a decision that changes the company's ownership can be a grave oversight if the company is audited by the Internal Revenue Service. One of the most serious consequences of failing to follow business formalities can be a ruling by a court that your LLC doesn't really exist as a separate entity apart from its members. In certain cases, using the legal doctrine of "piercing the corporate veil," creditors can sue to hold the LLC members personally liable for business actions and debts. Following business formalities, such as documenting major decisions and maintaining a separate business bank account, establishes the company's legal independence and preserves the members' limited liability for business affairs.